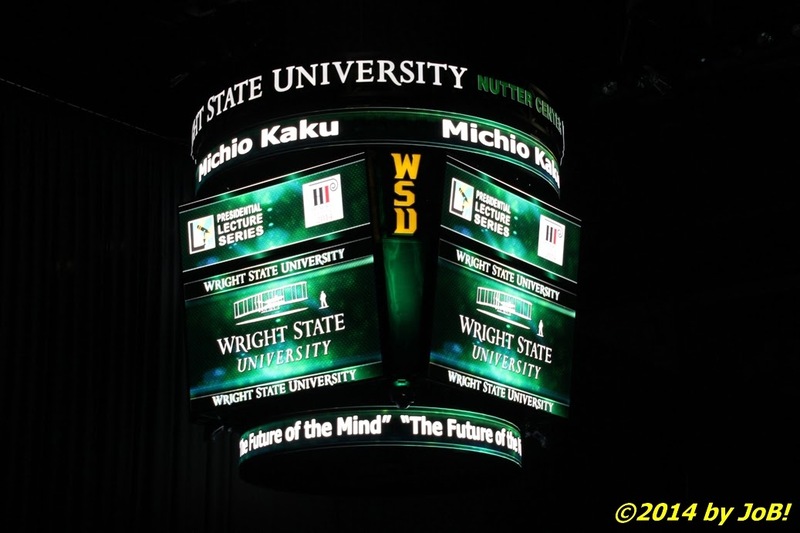 The scoreboard/video board at Wright State University's Ervin J. Nutter Center welcomes Dr. Kaku to the school. Dr. David Hopkins, president of Wright State University, introducing Dr. Kaku to the audience. 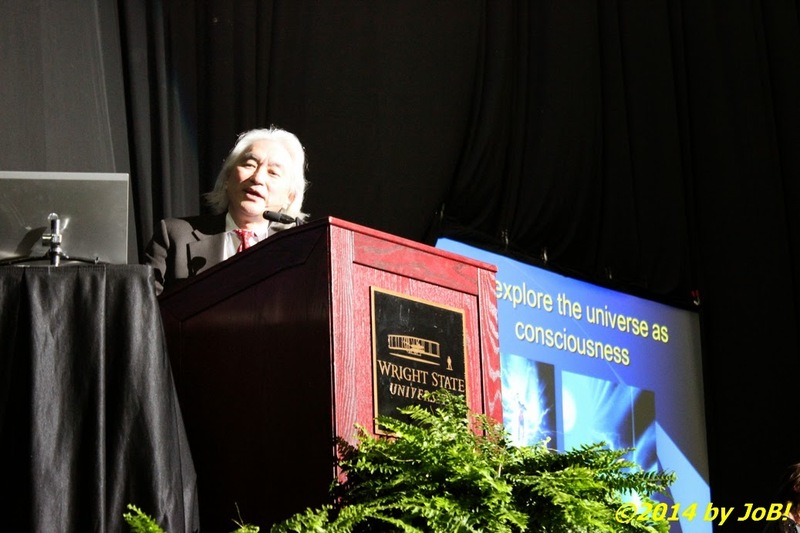 An audience, estimated at over 1,000 people, listen to Dr. Kaku's presentation on "The Future of the Mind" at Wright State University's Ervin J. Nutter Center on Wednesday evening. 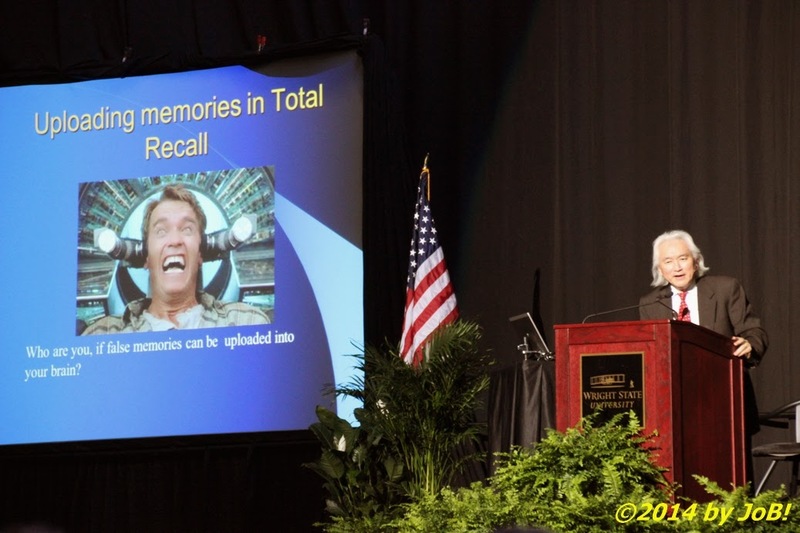 During his discussion on uploading memories, Dr. Kaku features a slide with Arnold Schwarzenegger's Douglas Quaid character from the 1990 movie Total Recall. Dr. Kaku is currently on tour promoting his similarly titled book, The Future of the Mind: The Scientific Quest to Understand, Enhance, and Empower the Mind, that debuted at #1 on The New York Times Best Sellers listing when it was released in late February. 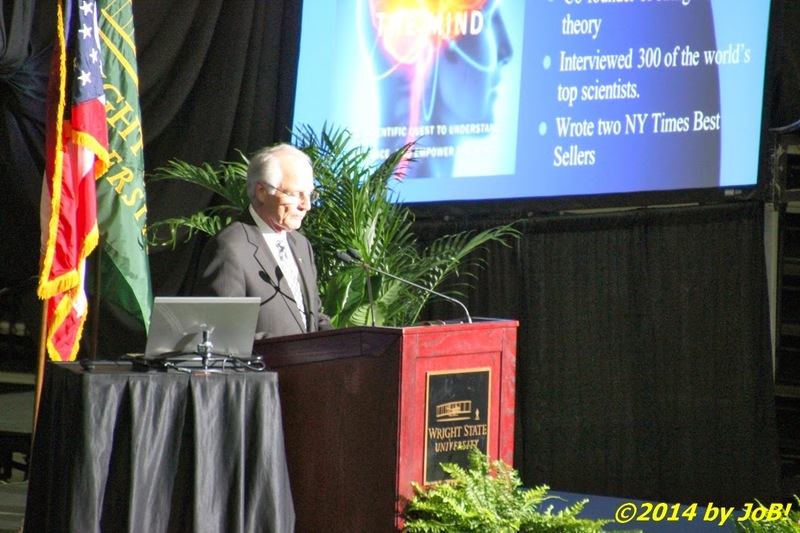 His sometimes humorous but thought-provoking remarks revolved around the brain and how modern research is getting mankind closer to proving that telekinesis and other phenomenon associated with the mind are achievable in the laboratory. He also talked about the potential of recording and storing memories to patients suffering from Alzheimer's disease and the viewing and saving of digitized copies of our dreams. 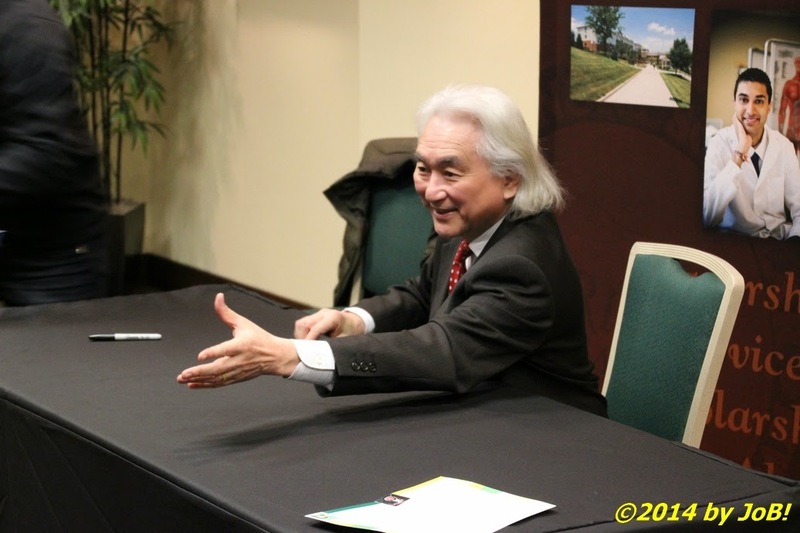 At the end of lecture portion, Dr. Kaku took several questions from the audience before adjourning to a separate room within the facility to autograph copies of his books for several hundred attendees. At the conclusion of the event, he departed for a Thursday night lecture at Youngstown State University's Stambaugh Auditorium. 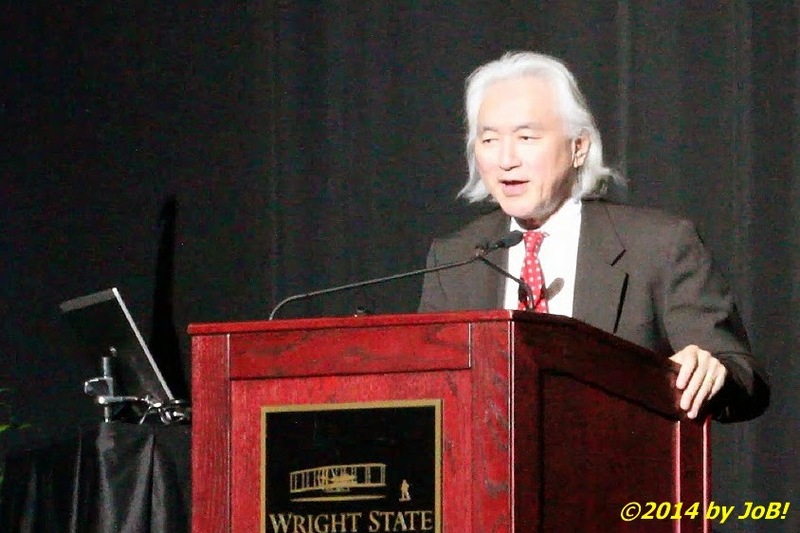 Dr. Kaku answers questions from the audience after his "The Future of the Mind" lecture at Wright State University's Ervin J. Nutter Center on Wednesday evening. Dr. Kaku reaches for a book to sign after his "The Future of the Mind" lecture at Wright State University's Ervin J. Nutter Center on Wednesday evening. 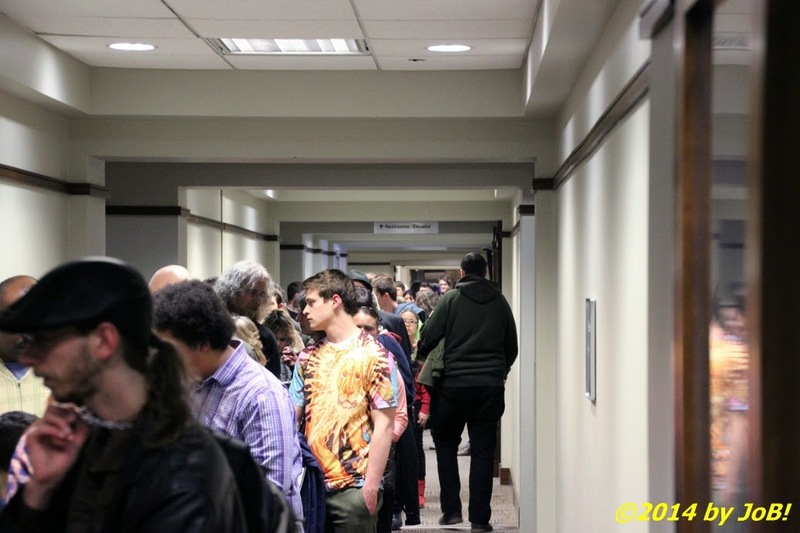 A look at the line waiting for Dr. Kaku's autograph inside the Berry Room at Wright State University's Ervin J. Nutter Center on Wednesday evening. 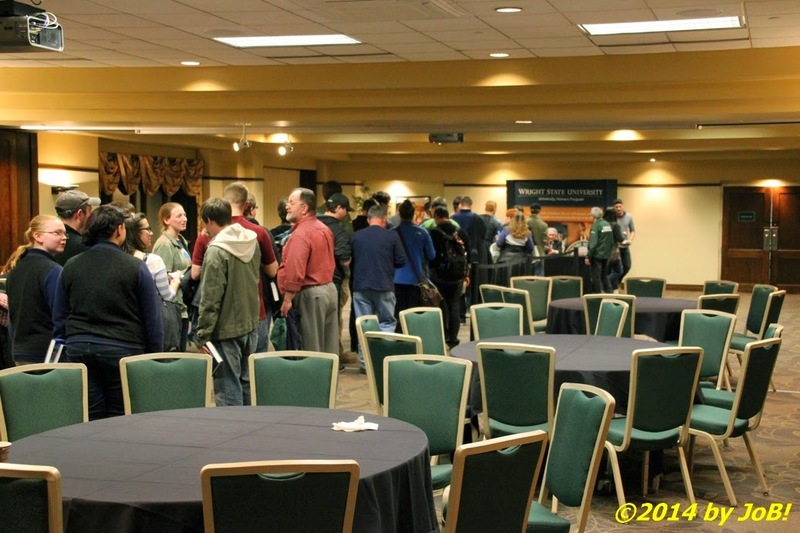 A long line of autograph seekers winds down a hallway outside the Berry Room at Wright State University's Ervin J. Nutter Center on Wednesday evening.